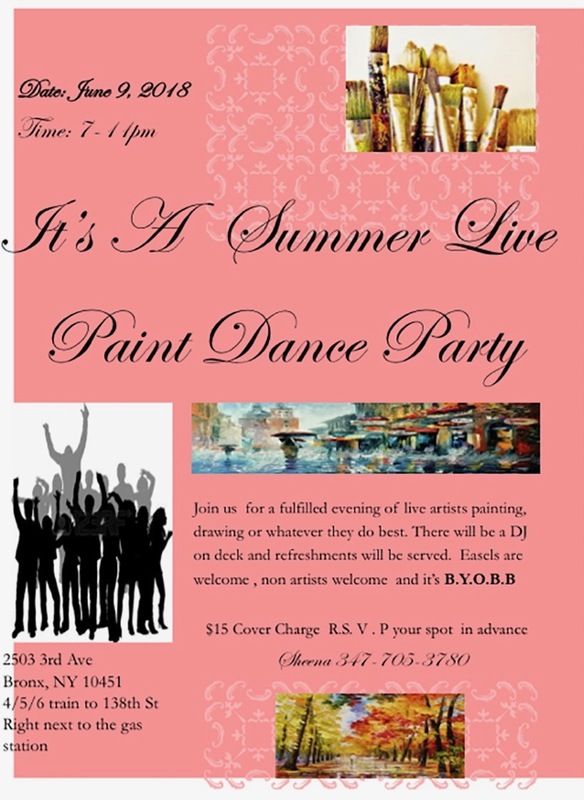 If you’re an Artist and would like to paint, bring your kit/easel ~ and RSVP is recommended (phone 347-705-3780). If you’re not an Artist ~ come and join the fun ~ DJ on deck and refreshments served. BYOBB. Cover charge of $15. June 9th from 7-11pm, Location ~ 2503 Third Avenue in the Bronx. Check out the Guerrilla Wall #ElBarrio & Harlem Art Collective Here.